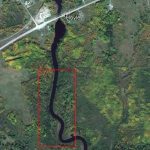 A very nice 78.76 acre riverfront property on a nice productive river in beautiful Northeastern Ontario, Canada. Just sit back and enjoy quiet times and look around and enjoy nature. 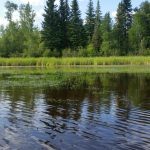 Owning a property such as this one is an exciting opportunity to teach your children or grandchildren what a privilege it is to be able to be on a riverfront property and enjoy mother nature. 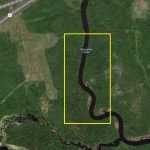 The property is located within Matheson Township about 23 kilometers or 14.5 miles east of the City of Timmins in Northeastern Ontario, Canada. Matheson Township is a township within the municipal borders of the City of Timmins so it is AN ORGANIZED TOWNSHIP. 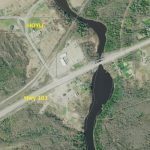 It is very close to the Hamlet of HOYLE which is near where the Porcupine River crosses Highway 101. 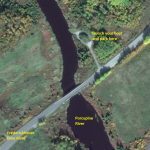 The PORCUPINE RIVER flows through the property in a north/south direction. 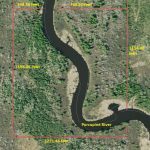 The property enjoys about 3,200 feet of frontage on the west shore of the Porcupine River and it also enjoys about 3,000 feet of frontage on the east shore of the Porcupine River. 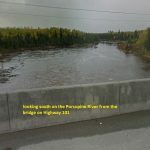 The Porcupine River is considered to be a decent sized river. Throughout the property the river averages from about 110 feet wide to 125 feet wide. YOU CANNOT DRIVE TO THIS PROPERTY s there is no road access to it. 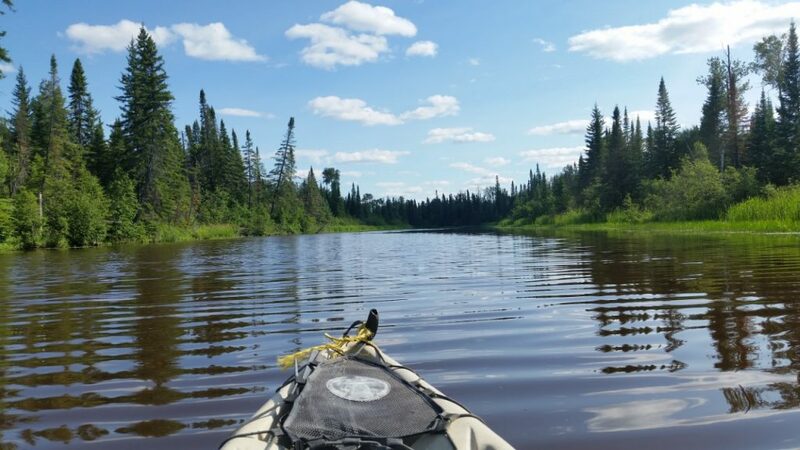 In the non-winter months you would get to the property by boating or canoeing or kayaking on the Porcupine River. In winter, you could snowmobile to the property by going along the river bank. If you get to know and become friendly with the neighbours then you may be able to take an ATV to the property or perhaps with permission from the neighbours you might be able to construct a road to the property. The property is surrounded by private owners. There is a boat launch area just north of Highway 101. From the boat launch area to the property it is a very short distance. It is only 0.7 miles or 1.1 kilometers or 1,116 meters or 3,800 feet. That is a SHORT DISTANCE no matter how you look at it! Highway 101 is only 560 meters or 1,830 feet to the north of the property. 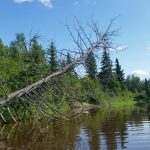 The Porcupine River flows 32 kilometres (20 mi) from Porcupine Lake to its mouth at Night Hawk Lake. 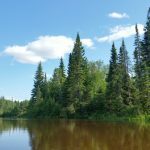 From this property it is about a 4.6 kilometer or 2.8 mile boat ride to Night Hawk Lake to the southeast. The river will offer you many opportunities for wildlife viewing. The property is mostly zoned RD-RU which is RURAL. 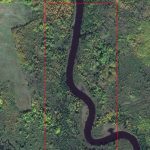 There is a HAZARD LAND zoning along the sides of the river and that is typical. You would build your cabin above any area along the river that may flood. The City has a rule that if a property DOES NOT front on a municipally maintained road then you are limited as to what you can build. In this case you can build what is referred to as “A HUNT CAMP”. “A HUNT CAMP” can be no larger than 500 square feet and is of seasonal use only. That also means that you cannot live there permanently. There are no services to this property. You will be totally OFF THE GRID. From the view of the aerial photos it appears that the wood on the property have not been harvested. The typical mix of trees in this area are Spruce Tees, Poplar Trees, Balsam Trees and some Cedar trees along the shoreline. All timber is reserved to the Crown. This does not mean that the Crown will come in to harvest the trees. 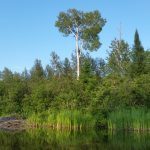 You can however, get a permit from the MNRF to harvest all the trees or whatever you may want to harvest and you will have to pay a royalty or stumpage fee to the MNRF. You are allowed to harvest dead or dying trees for personal use like firewood. Even though you don’t own the mining rights that is NOT a bad thing! 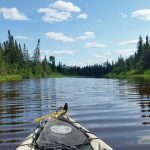 Think about this, with all the new environmental laws in place today do you really think that any mining can take place along a river like the Porcupine River? Especially when the property embraces both sides of this river? Besides which this property is not big enough to do any mining on. If a mine would ever be established next door to this property then they would want to buy you out and pay you big bucks for your property. 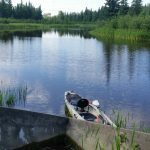 You can fish the river from the minute you launch your boat and fish on the way to the property. 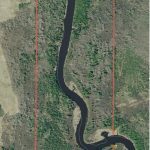 You can fish on the river along your property lines and you can fish all the way to NightHawk Lake to the east. 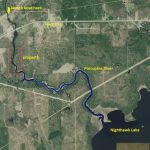 Nighthawk Lake is famous in the Timmins area for it’s Walleye (Pickeral) and Northern Pike fishing. You have the same fishing in this river! There is decent waterfowl hunting along the river. Apparently there are moose in this area and they like to wander down to the river. There are black bear in this area and you can hunt them on your property. Don’t wear socks with sandals in the bush. Especially thick socks, as they will cause friction, resulting in a fire that cooks the wearer’s feet and causes them to smell like hot dogs, thereby attracting bears. Bears will see your big, brown, fuzzy, round feet and assume that you are mocking them.